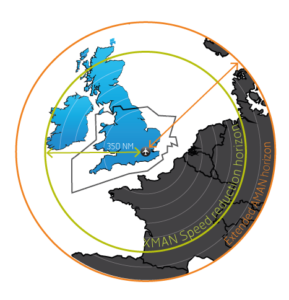 Led by air traffic services provider NATS, as part of the UK-Ireland FAB and in collaboration with FABEC and Heathrow Airport, the trial has the overall aim of cutting average holding times by a quarter from the current time of eight minutes. Since April 2014, NATS has recorded a reduction of up to a minute in holding times for those flights influenced by the trial, saving airlines around £1 million (€1.25m) in fuel and 5,000 tonnes of CO2, as well as reducing noise for communities underneath the stacks. 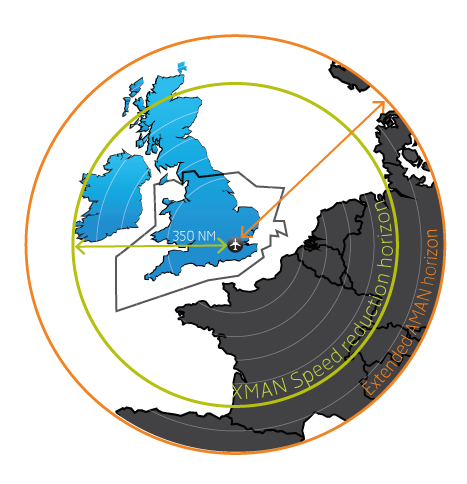 The trial has seen controllers in the UK, France, Ireland and the Netherlands working in partnership to slow aircraft down up to 350 miles away from London in order to minimise holding times on arrival. It is the first step of a broader strategy to reduce the amount of time aircraft spend holding at Heathrow. Absorbing delay in the en-route phase, when aircraft are higher and more efficient, saves fuel and CO2 while minimising noise for the communities living beneath the stacks. Heathrow is scheduled to 98% capacity and relies on having the continuous flow of traffic that the stacks provide, but NATS’ aim is always to minimise the amount of time aircraft have to spend in them. 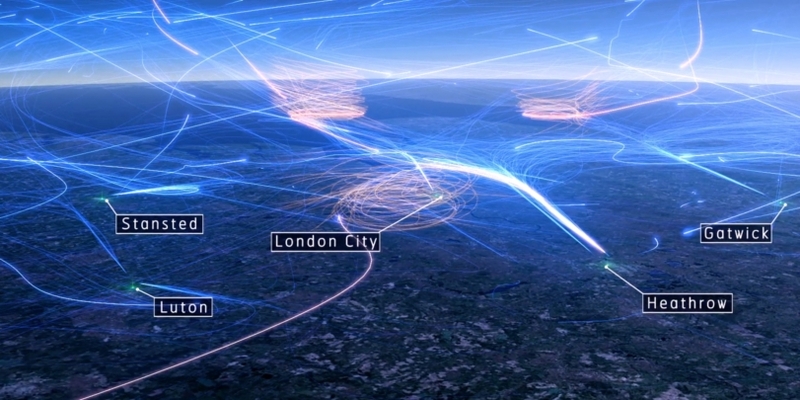 Traditionally, it can only influence an aircraft’s approach to Heathrow once it enters UK airspace, which is sometimes only 80 miles from the airport. This therefore limits the chance to manage the inbound flow of traffic. In September 2014 the trial entered its third phase, with the minimum stack delay threshold reduced from nine minutes to seven and the maximum speed reduction raised to 0.04 Mach from 0.03. Moreover, the Brest Air Traffic Control Centre (ACC) also joined the trial to take into account more inbound traffic. This trial demonstrates the UK-Ireland FAB’s, FABEC’s and Heathrow’s commitment to deploying innovative SESAR concepts as part of its implementation plan, and also the practical achievement of inter-FAB collaboration. The XMAN project was highly commended at the Institution of Engineering and Technology’s innovation awards in the Intelligent Systems category.